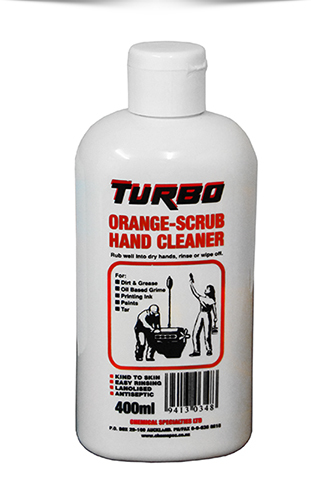 TURBO Orange Scrub Hand Cleaner is a new type of hand cleaner based on special solvents derived from Brazilian oranges. 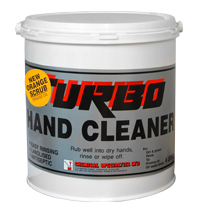 Turbo Orange Scrub Hand Cleaner works on grease-based grime. 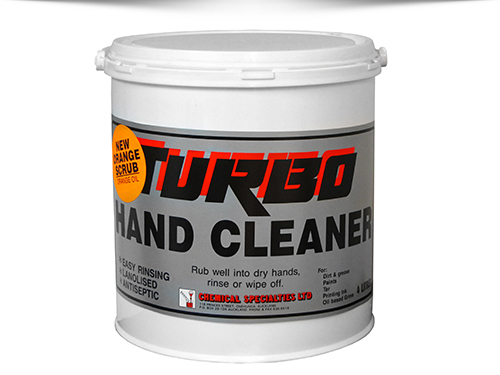 It is antiseptic and contains lanolin to keep skin moisturised. 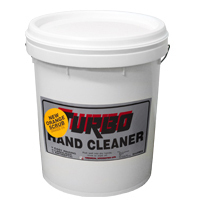 It rinses off freely in cold water, or can be wiped off with a cloth where water is not available. 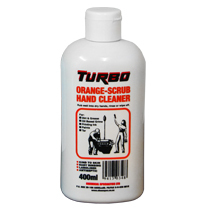 TURBO Orange Scrub Hand Cleaner is extra-kind to the hands and ideal for a sensitive skin. 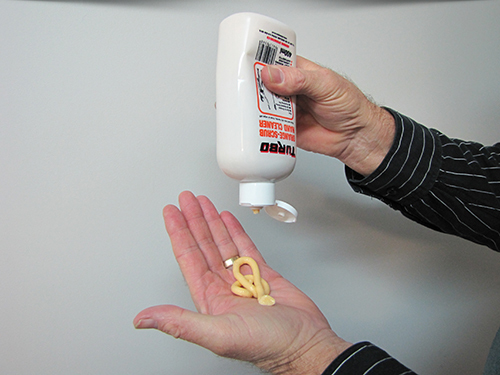 The solvent is mostly replaced by an extract of squeezed oranges and a mild, friable scrubbing agent. 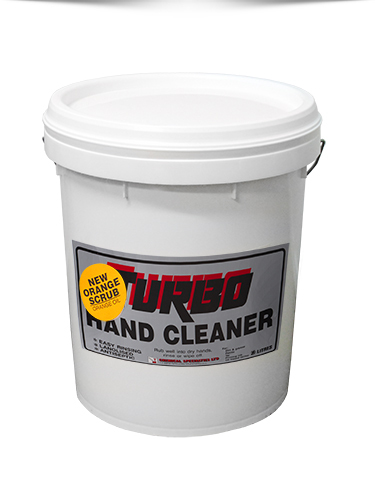 This helps removal of general household and industrial dirt, grease, oil, dried acrylic paints, resins, tar, printing ink and carbon-based dirt from the hands. 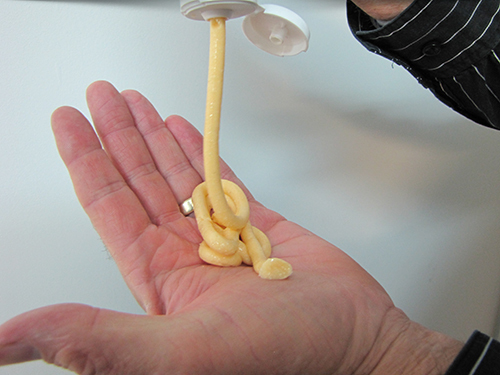 It will leave them supple and in a good condition due to the lanolin content and antiseptic properties. 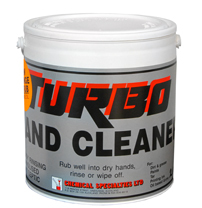 Washes off with water. The oil and dirt smells are replaced with a pleasant orange fragrance. 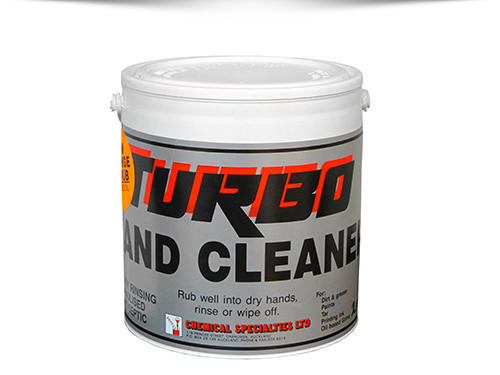 TURBO Orange Scrub is a Heavy Duty Hand Cleaner, manufactured specifically for tough industrial dirt and grease, but gentle enough to use every day in and around your home.